12 great ideas to celebrate the 4th of July. 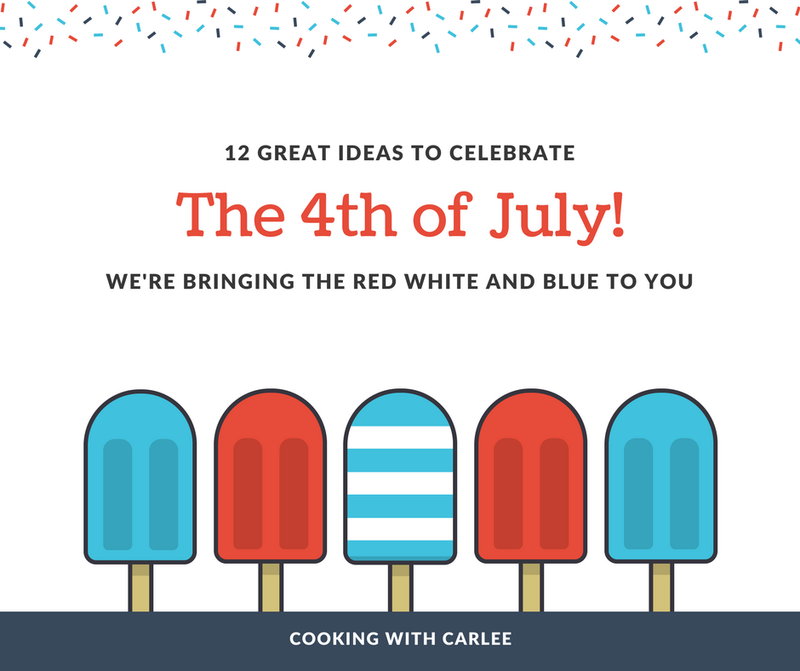 We have everything from appetizers, main dishes, side dishes and plenty of red, white and blue desserts. We also have decor and more! How do you normally celebrate the 4th of July? We almost always cook out. Most of the time it's hamburgers, either Maw-Maw's hamburger surprises or American lava burger surprises. Sometimes it's pork chops. Either way there are plenty of traditional BBQ sides, baked beans, potato salad and more! This year, however we are doing something a bit different. My brother is roasting a hog, so we are having a pig pickin'! I'm sure I'll share more on that after the fact. But we still need festive side dishes and desserts! 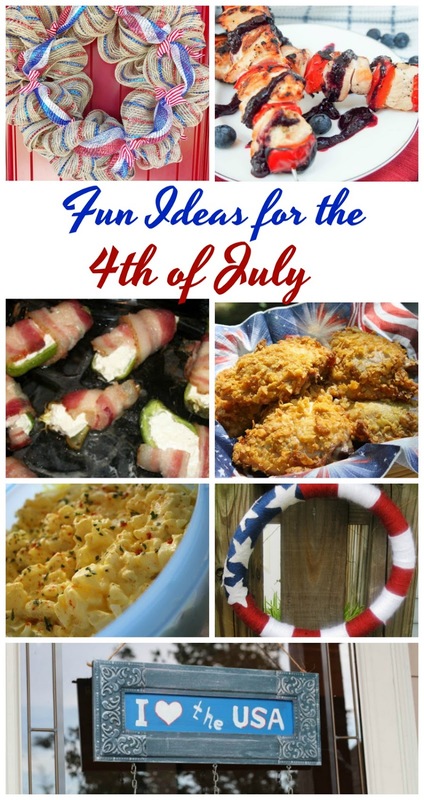 So I combed through the entries in our patriotic party with Celebrate365 for ideas. I want to try them all!